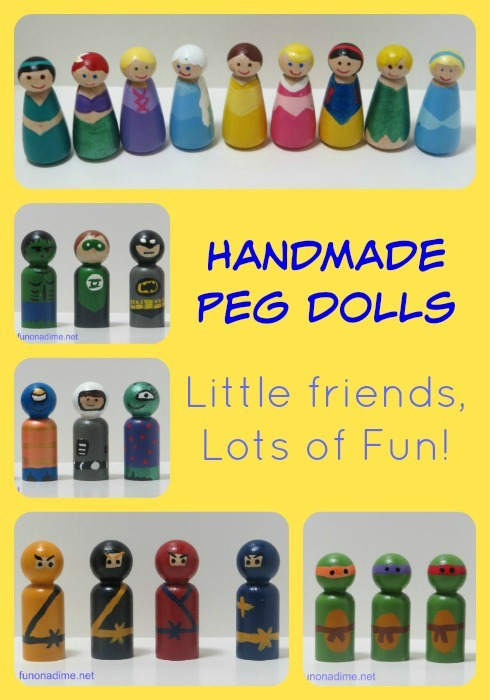 Have you seen all of the adorable wooden peg dolls on Pinterest. 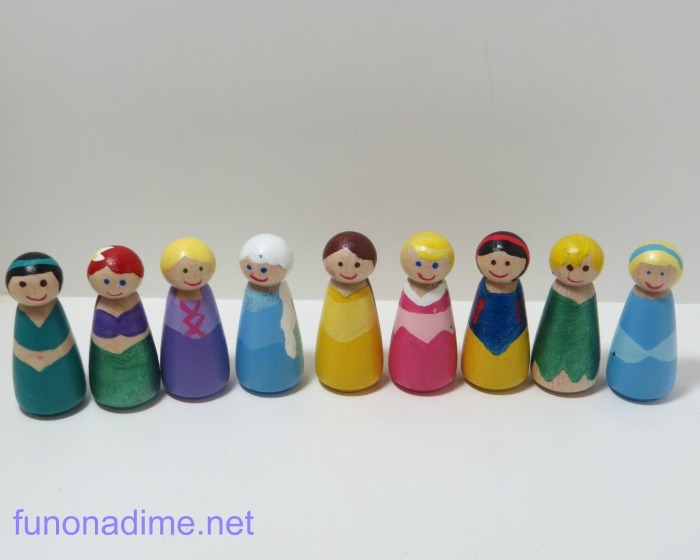 I first saw Princess wooden ones on Lil Blue Boo. 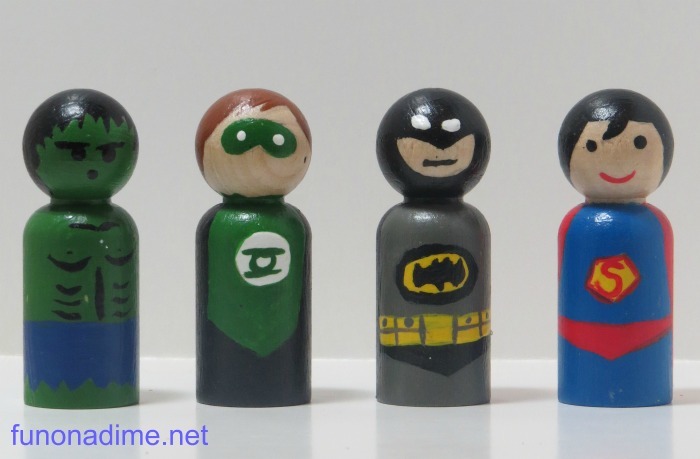 I thought that I had to give it a try and since then I have gone a little wooden doll CRAZY!!! 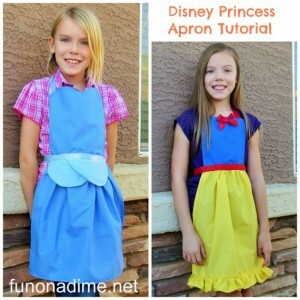 I started with the Princess dolls. I couldn’t find pictures of the backs of other’s so I thought I would share mine. Here are some of my boy ones in a variety of stages of doneness. 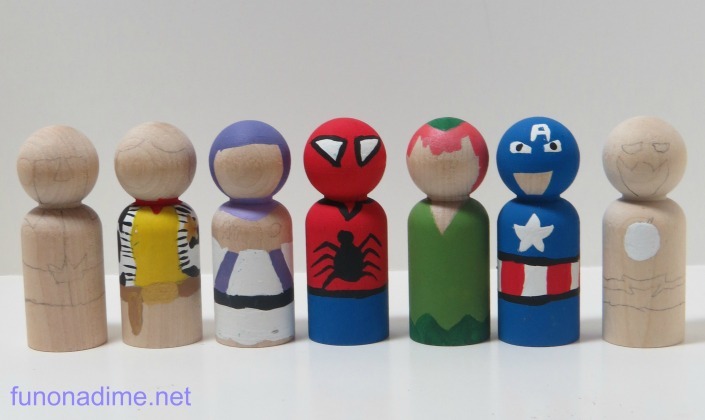 Tip 2: Sketch all the patterns before starting; it makes painting much faster because you can paint all the same color on a variety of dolls at a time. 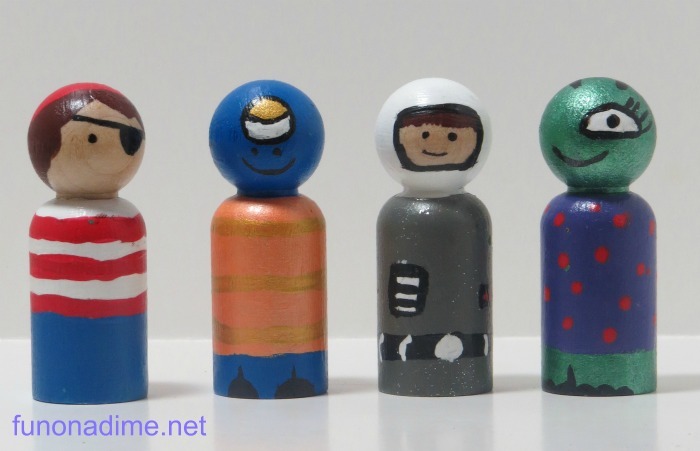 Tip 3: Use the back of your paint brush dipped in paint to make the small dots for the eyes. As you can see I have gone a little CRAZY. They are just so cute I can’t help it. 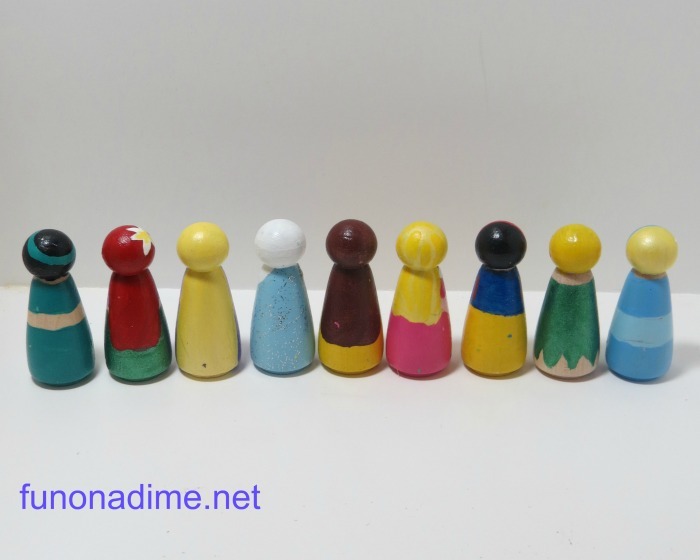 Tip 4: When you are finished painting them seal them with Modge Podge. I painted the bodies and then when they are dry I painted their heads. This way there were no finger prints on them. 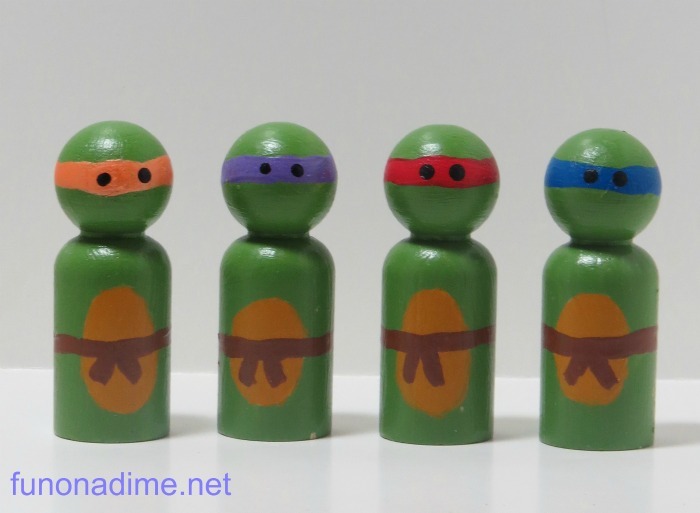 I made these ninjas for my nephew and they were a huge hit. I made three of each color for a total of twelve. 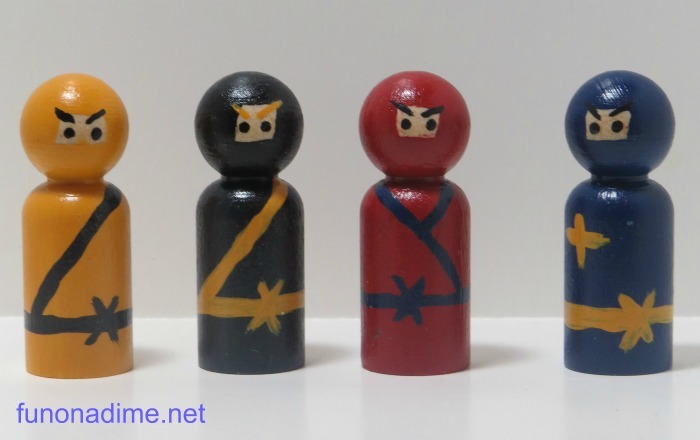 A little ninja army! Tip 5: You can find lots of adorable boxes at your local craft store to put them in to give for gifts. 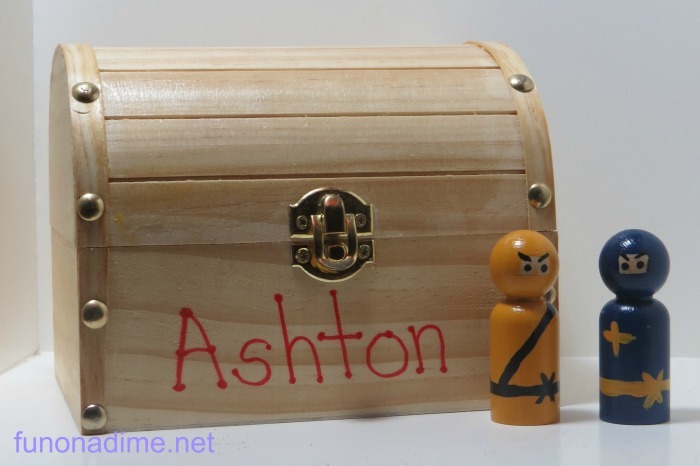 IF you Modge Podge the wooden boxes you can draw or write on them with colored sharpies and it won’t bleed. I would love, love, love to see what you create. Please SHARE! 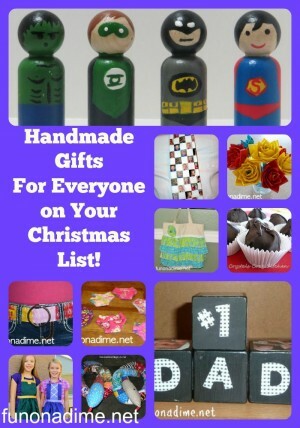 Filed Under: Birthdays/Celebrations, Blog, Christmas, Creative Gifts Tagged With: Blog, Crafts, Made By Me!